All of us dream. It's our body's way of resting after our day. But what has surprised me is that I have dreams that are prophecy dreams. These are dreams that tell me my future. All of these prophecy dreams have been identified as such by the Spirit. The Spirit is that entity from the presence of God that communicates God's will for us. I've never known how they will come to pass, but as the time for fulfillment draws near I marvel as I watch it unfold. The following are the major prophecy dreams that have altered the direction of my life. I introduce each one, tell the dream, then give the fulfillment. 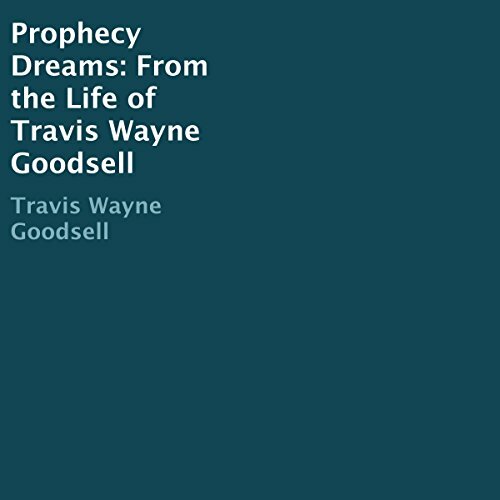 An interesting book by Goodsell, in which he outlines various dreams that he has had that proved to be prophetic in some way. He details the dream itself, and then the repercussions that followed. He details why these dreams were fulfilled, and how they have changed his life. They are interesting, and his perspective is telling of the kind of man he is. Clinger relates the dreams and their results like he was Jean Dixon making predictions. He is smooth and very easy to follow. You will have no problem listening along to him. Even though I did receive a promo code for this review it in no way influenced my considerations of the material, and in fact, inspired me to be more honest. In fact, getting a code generally makes me harsher as a reviewer as I am more often concerned what someone like Me will decide based on my review.